Prepare 1 day in advance to allow the flavors to absorb and become vibrant. 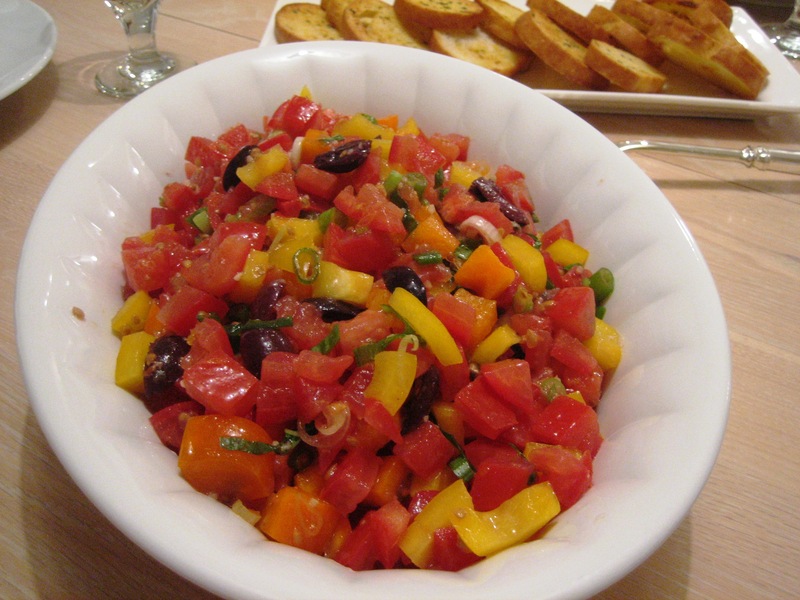 In a large storage bowl combine the diced tomatoes, yellow & orange bell peppers, garlic, olives, basil and scallions. Add the olive oil and toss to coat evenly and store in the refrigerator for at least 8 hours. 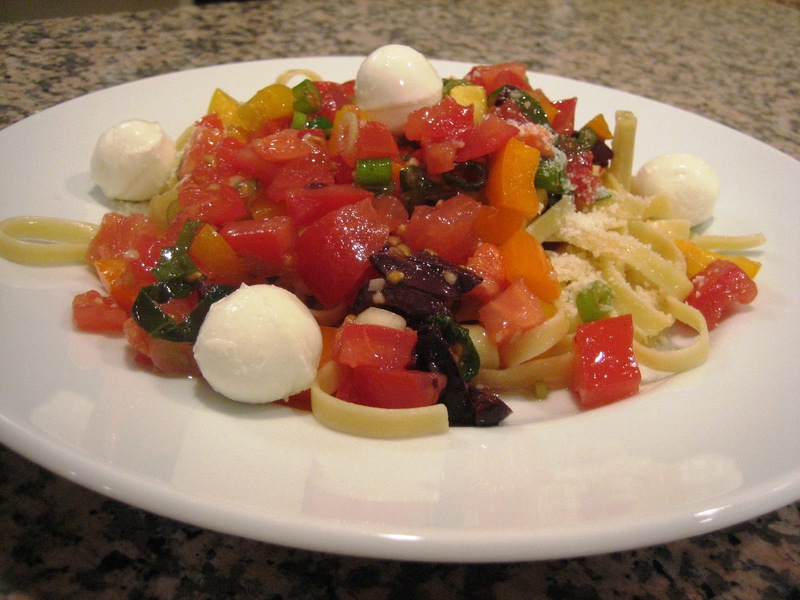 When you are prepared to serve the meal, remove the tomato mixture from the refrigerator. Allow the mixture to come to room temperature when serving. In a large pot bring water to a boil for the pasta. Salt the water and cook the pasta to the instructions provided on its packaging. Drain the pasta and distribute into four pasta plates. Add a few heaping scoops of the fresh tomato mixture. Garnish with fresh mozzarella and freshly grated Parmigiano-Reggiano.